According to the National Weather Service, numerous reports of tornadoes have been registered at the west and southwest of Chicago. Minor damages have been reported so far. At about 1 p.m., the Storm Prediction Center in Norman, Oklahoma, warned about severe conditions during late afternoon and evening on Wednesday. 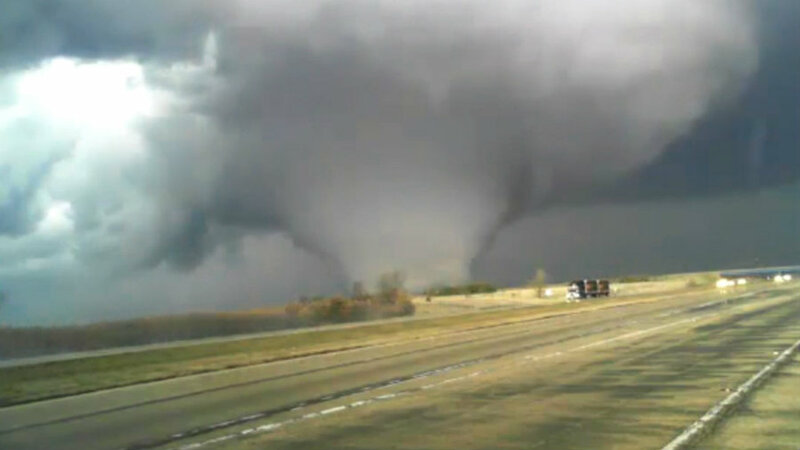 Forecasters predicted that far eastern Iowa and northern Illinois could see “significant” tornadoes. The scenario changed when the tornado threat moved through the Chicago area. The forecast also referred to wind gusts and severe weather conditions are expected in Chicago late this evening. The Storm Prediction Center predicted high possibilities of having a significant tornado in Chicago. It is about an EF2 tornado, or it may even be stronger. Emergency officials in Chicago were advised to be prepared for severe winds, storms, and possible tornados. LaSalle County residents were immediately advised to look for shelter as the storm moved to the east at about 8:30 p.m. Most small towns in LaSalle County are surrounded by farm fields, which is why, local authorities warned residents to shelter and get ready for severe conditions and tornados’ touchdowns. Wednesday late night, LaSalle County officials reported minor damages caused by a tornado near the city of Earlville, northwest of Seneca. The Lee County Sheriff’s Department has not received yet information about damages caused by the storm. Amy Seeley, the meteorologist with the National Weather Service outside Chicago, said that people could expect everything at the moment and that severe winds might be the biggest threat. Chicago’s international airports delayed and canceled flights. Severe weather conditions in the area forced The Chicago Department of Aviation to announce the cancellation of 100 flights at Chicago O’Hare International Airport. Chicago Midway International Airport, in turn, canceled 40 flights. The agency argued that the measure was taken due to threatening thunderstorms in the area. Those flights that were not canceled presented a 30-minute delay.